A practical pot which we hope will make washing up less of a chore. Our cutlery drainer must have been in constant use for over twenty years. 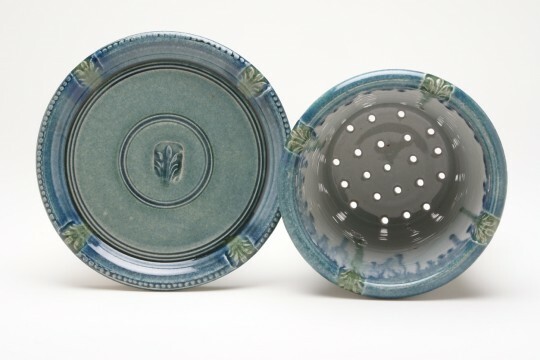 It has a permanent place on our draining board, although we do put it through the dishwasher occasionally. 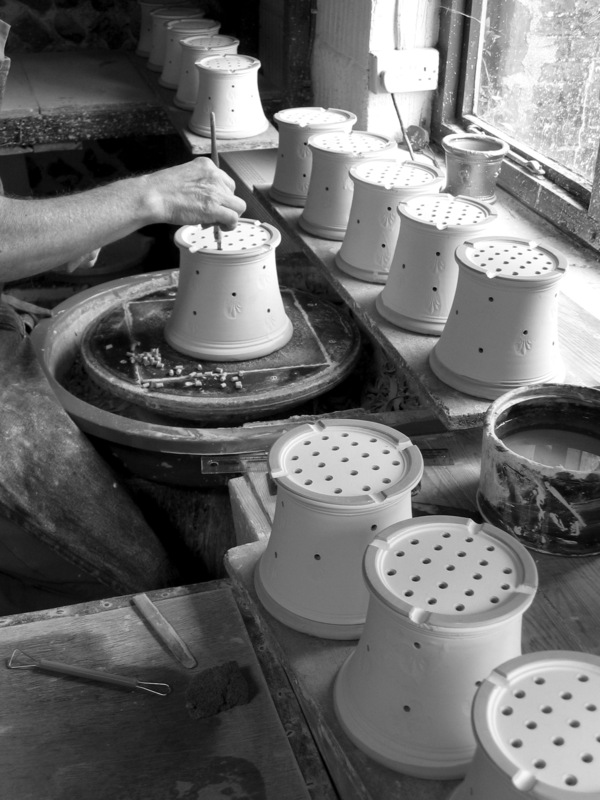 They are thrown, and a footring turned in the bottom, leaving a thick base through which we drill drainage holes. 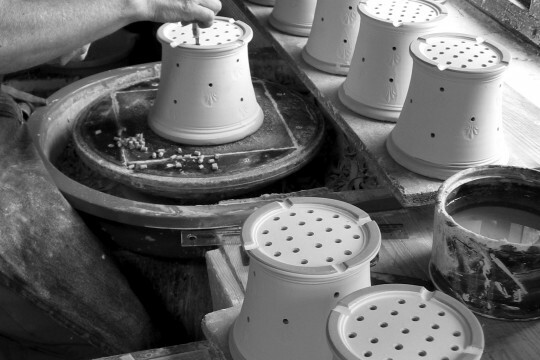 After so many years, and I don’t know how many thousand holes, I still can enjoy making these pots. 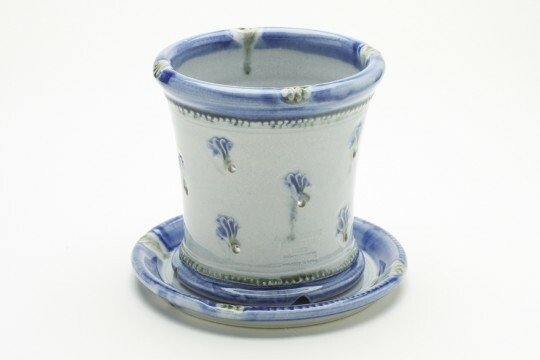 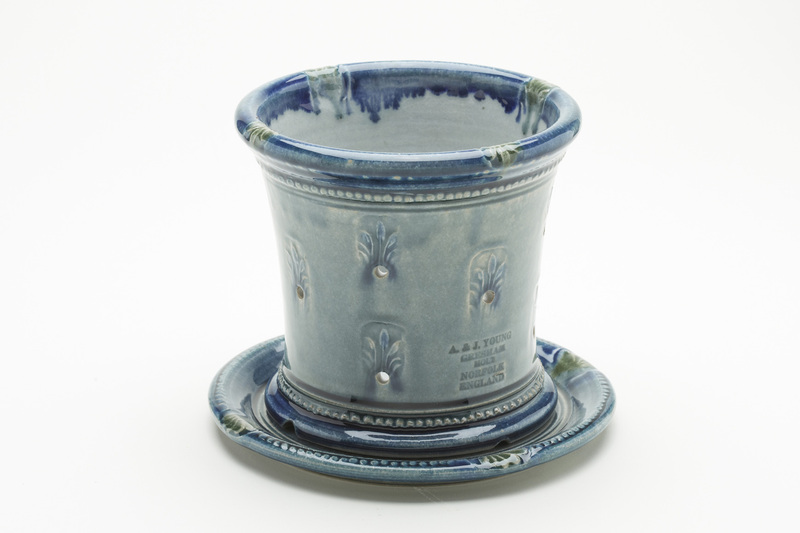 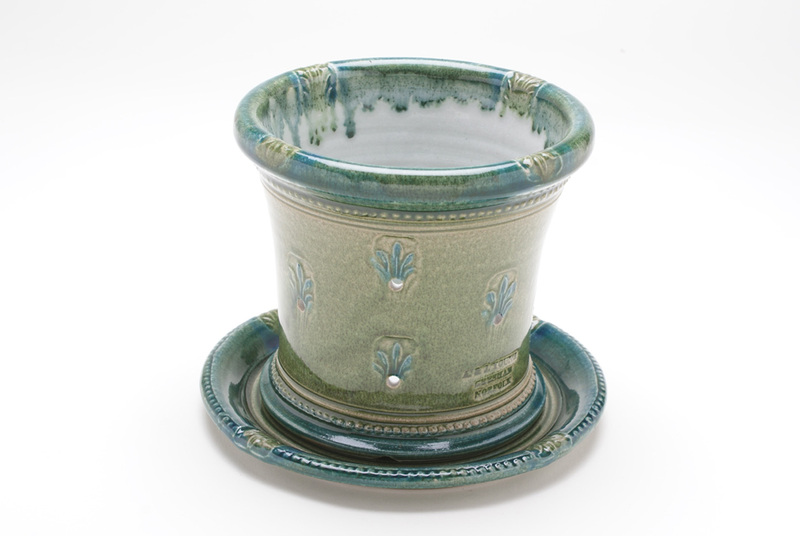 The trays which come with these pots are very attractive when just used on their own.